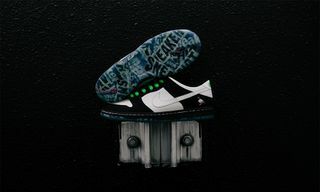 Key Features: Verdy’s pack of SB Dunk lows features two sneakers. One is dressed in a red leather upper with white laces and accents on the padded tongue and heel, and features a white midsole and red outsole. 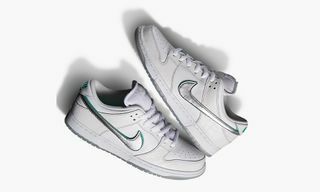 The other is done up in cream nubuck on the upper, with an off-white Swoosh and red detailing on the tongue, heel, insole, and outsole. Both pairs feature “Girls Don’t Cry” embroidery on the heel. Release Date: Available now in Japan. 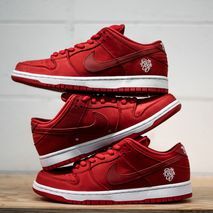 Buy: The red pair is a Japan-exclusive and will be sold at the SPOTAKA Skate Shop Osaka, while the white pair is rumored to be friends and family only. 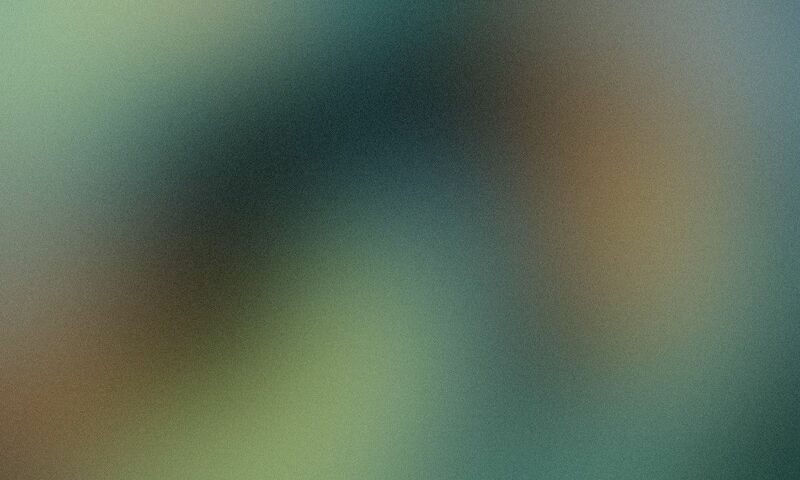 Editor’s Notes: Verdy, the designer and artist behind Japanese label Girls Don’t Cry, had teased a new Nike SB collaboration while out in La Brea last week. 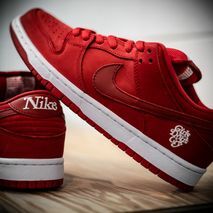 Verdy was wearing an all-red SB Dunk, and Nike SB has just confirmed that will drop exclusively in Japan today, February 9. 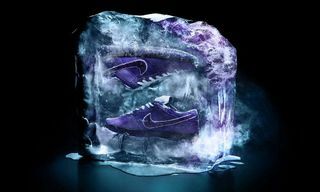 In addition to the collaborative footwear, both Verdy and Nike SB have revealed that the kicks will be complemented with a range of matching co-branded tees and hoodies. 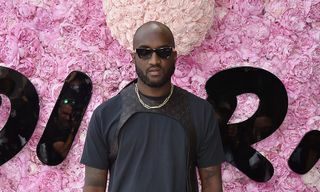 Previously, the designer also teased what some believe to be a friends-and-family version of the same sneaker in tonal creams/off-whites with red detailing. 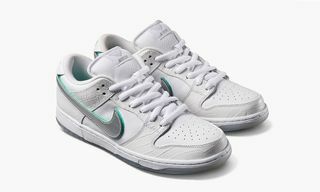 The release marks a continuation of the SB Dunk’s recent revival of sorts. 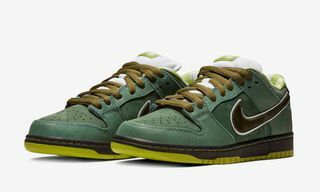 While the SB Dunk was once the undisputed king of collectible sneaker culture, the silhouette had experienced a lull in popularity in recent years. 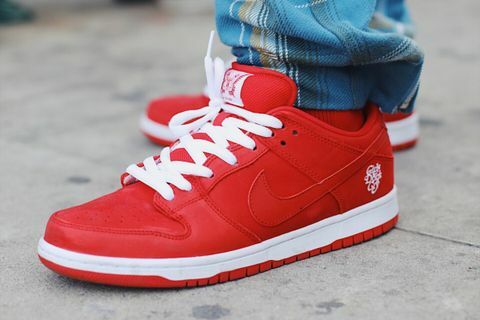 But, with popular collaborative releases and cosigns from the likes of Travis Scott and A$AP Rocky, the SB Dunk is making tentative steps back into the limelight.